Indoor-outdoor pools, hot tubs, saunas. Tofte. Bluefin Bay *Premium Home* 56B ...upper level of 56 - wet bar, fireplace, 2 HD tv, 2 baths, 2-person jetted tub. PETS RATE IT NO. 1. Indoor-outdoor pools, hot tubs, saunas. Tofte. Bluefin Bay *Premium Home* 57. ...lower level - kitchen, great room, big deck. ...upper - wet bar, cozy deck. all - two 2-person jetted tub, 4 HD TV, 2 fireplaces. END-UNIT WOODSY ELEGANCE. Indoor-outdoor pools, hot tubs, saunas. Tofte. Bluefin Bay *Premium Home* 57A ...walk-in level of 57 - great room, fireplace, HD tv, 2-person jetted tub, large deck, kitchen. END-UNIT WOODSY ELEGANCE. Indoor-outdoor pools, hot tubs and saunas. Tofte. Bluefin Bay *Premium Home* 57B ...upper 57 - wet bar, fireplace, 2 baths, 2-person jetted tub, HD tv, cozy deck. END-UNIT WOODSY ELEGANCE. Cathy's Cove is in a great location with a beautiful cascading waterfall and a private cove on Lake Superior. 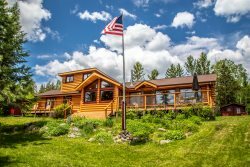 Enjoy this log cabin romance themed condo at Chateau LeVeaux #2, part of the Chateau LeVeaux Resort with pool, hot tub, game room and beautiful views of Lake Superior. Cozy cabin feel greets you at Chateau LeVeaux Condo #3, a private condo located in the Chateau LeVeaux Resort, just steps away from Lake Superior. Come home to bright and classic Chateau LeVeaux Condo #5 after a day of exploring the beautiful North Shore of Lake Superior. Curl up in front of the fireplace in Chateau LeVeaux Condo #7. This private condo is located in the Chateau LeVeaux Resort where you will enjoy the resort's pool, hot tub, and game room. Classic elegance greets you at Chateau LeVeaux Condo #8, the perfect location for a romantic North Shore Lake Superior getaway. Chateau LeVeaux condo #9 is a truly unique unit with its expansive 4-season sun room, located in the beautiful Chateau LeVeaux Resort. Enjoy a weekend away on Lake Superior in Chateau LeVeaux Condo #10, located in the Chateau LeVeaux Resort in Tofte, MN. Warm, cozy, and fun describes Chateau LeVeaux Condo #12. It's located in the Chateau LeVeaux Resort in Tofte, MN. It will charm you with whimsy and comfort as you take in the beautiful views of Lake Superior. Chateau LeVeaux Condo #13 is a beautifully decorated, freshly remodeled condo. Enjoy all of the amenities of the Chateau LeVeaux Resort and the comforts of this lovely condo. Gorgeously renovated Chateau LeVeaux Condo #16 will charm you with its elegance and comfort. Just steps away from Lake Superior. Chateau LeVeaux #17 is the perfect place to relax after a day of hiking, biking, skiing or swimming on Lake Superior's North Shore. Amazing and unique artist's retreat, Chateau LeVeaux Condo #21 inspires and excites with its breathtaking views of Lake Superior.